City Lights Books, 9780872867000, 312pp. A series of archeological expeditions unfolds through time, each one looking for the ruins of a fabled underground city-state that once flourished in a remote province near the border of present-day Iran, Pakistan, and Afghanistan. Sealed off for centuries by seismic activity, Suolucidir beckons with the promise of plunder and the glory of discovery, fantasies as varied as the imaginations of her aspiring modern-day conquerors. As the tumult of the twentieth century's great wars, imperial land grabs and anti-colonial revolutions swirl across its barren, deserted landscape, the ancient city remains entombed below the surface of the earth. A succession of adventurers, speculators and unsavory characters arrive in search of their prize, be it archeological treasure, oil, or evidence of crimes and punishments. Intrigue, conspiracies, and counter-plots abound, and contemporary events interfere with each expedition, whether in the form of the Axis advance, British Petroleum, or the Revolutionary Guards. People disappear, relics are stolen, and the city closes in upon itself once more. A satiric, post-colonial adventure story of mythic proportions, The Lost Civilization of Suolucidir takes place against a background of actual events, in a part of the world with a particular historical relationship to Russia and the West. But though we are treated to visual "evidence" of its actual existence, Suolucidir remains a mystery, perhaps an invention of those who seek it, a place where history and identity are subject to revision, and the boundaries between East and West are anything but solid, reliable, or predictable. 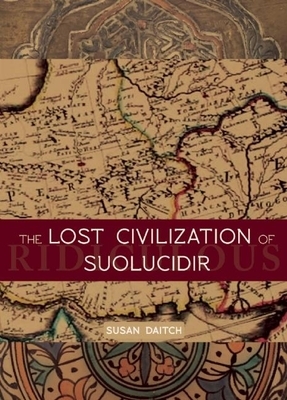 Susan Daitch is the author of four novels, "The Lost Civilization of Suolucidir" (with City Lights) "L.C.," "The Colorist," "Paper Conspiracies" (also with City Lights), and a collection of short stories, Storytown. Daitch's "White Lead: A Novel of Suspense" comes out in the fall of 2016. Her short fiction and essays have appeared in LitHub, Black Clock, Guernica, Conjunctions, Slice, Tablet, Tin House, McSweeney's, Bomb, Ploughshares, The Barcelona Review, failbetter, TriQuarterly, ReDivider, The Norton Anthology of Postmodern American Fiction, and elsewhere. She has been the recipient of a 2012 New York Foundation for the Arts Fellowship in Fiction, two Vogelstein fellowships. Fall Out, a novella, was published in June 2013 by Madras Press, all proceeds donated to Women For Afghan Women.